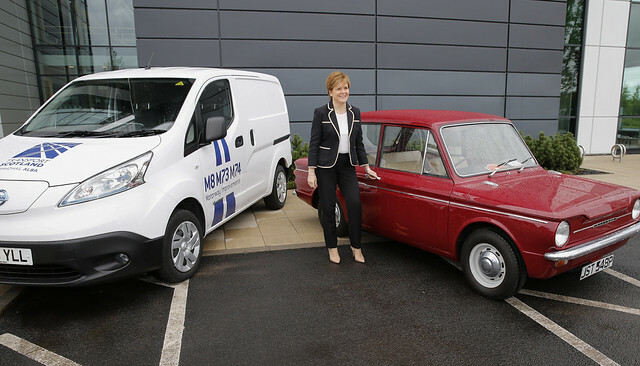 First Minister Nicola Sturgeon officially opened the £500 million M8 M73 M74 Motorway Improvements Project. The project, including the new seven mile stretch of the M8 motorway, is saving motorists up to 20 minutes on journey times and aims to tackle congestion problems in central Scotland. The journey time savings have been assessed as contributing more than £1bn to Scotland’s economy, improving the connections for businesses between Edinburgh and Glasgow and beyond. Improved road safety through the reduction of traffic on local roads, is set to result in a predicted reduction of more than 100 accidents per year, and accident savings of more than £118m over a 30 year period. The M8 is a vital link in the central belt and this newly completed section will help connect people to business, leisure and education opportunities and also creates a better environment for companies to do business. “Businesses are already reporting a journey time saving of up to 20 minutes travel between Scotland’s biggest cities and a similar saving for those using Raith junction. These improvements and additional road capacity will ensure our economy has room to grow.